Due to the spread of the Ebola Virus Disease (EVD) in the Democratic Republic of Congo (DRC), Uganda and the DRC have taken measures to increase cross-border surveillance. Health officials from both countries reached a consensus during a cross border meeting at the Kasindi- Lubiriha immigrations office in the DRC. During the meeting, the officials mentioned that it is important to map out all of the entry points along the border so that no border entry point lacks a screening point. In the Kasese - Kasindi-Lubiriha border area, there are many misconceptions about Ebola. Therefore, both countries have been working to increase community engagement and intensify risk communication to increase awareness and preparedness on both sides of the border. The Uganda team also discussed different components of the Ebola preparedness response, while the DRC intends to incorporate a community-based disease surveillance approach. The meeting was attended by the World Health Organisation (WHO), the Uganda Red Cross, and teams from the two countries including, health, and security and immigration officials. 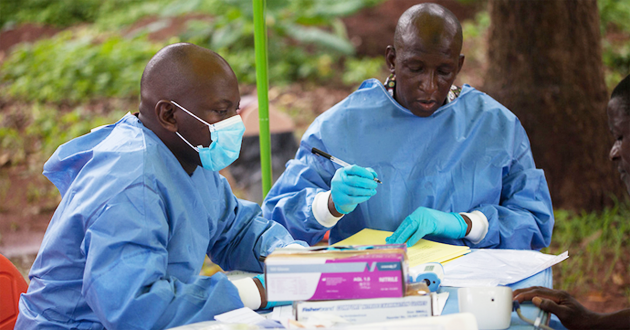 Although there have been no confirmed Ebola cases in Uganda, the country remains on high alert, while taking measures to assure preparedness. These activities include collection and testing of blood samples from alert cases, clinical management, border screening, community based and health facility surveillance, coordination of activities, psycho-social care for safe and dignified burials, risk communication, and community engagement.